This collection of games is pretty impressive with fantastic emulation and amazing bonus content. You can choose the region of most games and some games you can even choose between a home console version and the original arcade version which is a nice touch. 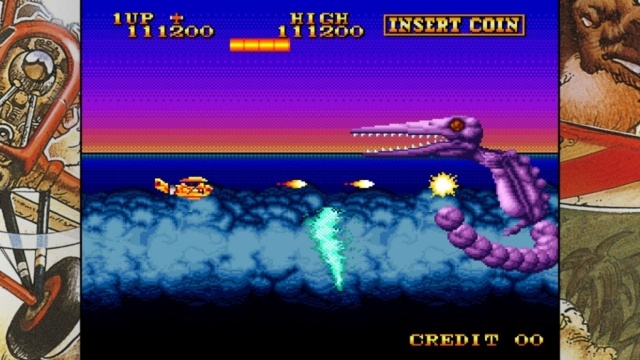 The games span several different genres so there is something for gamers of different tastes, however scrolling shmup's do dominate the lineup somewhat. The games run as they should with little to no issues. 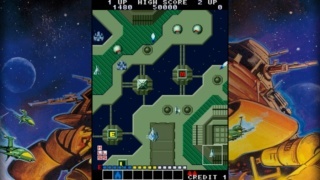 The games also have a sharp image mode and even a full-screen mode and stretch mode if you want the original aspect ratio or don't like borders or arcade cabinet images on your TV screen while playing respectively. The gameplay options are somewhat limited, but are serviceable. A cool feature of this compilation is that you can activate "watch mode" at the start to watch how the courses should be played and can jump in at any time which can help if you get stuck on a particular part of one of the games or to help you boost your scores by knowing how to do certain things in a particular way. 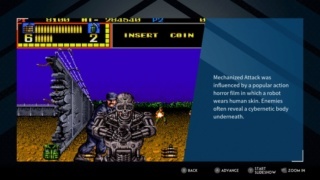 Back to the bonus content there's a plethora of cool info regarding the included games in Museum Mode and tons of other juicy tidbits of awesomeness that you likely wouldn't expect to be included which is great for any arcade aficionado's! The controls are pretty responsive and work as they are intended to which is nice as well. The audio-visual presentation is what it is and is more or less perfectly rendered from the source material. Sure there's a very rare visual or audio blip every now and then, but you'll likely not even notice these while playing and some of the games hold up quite well visually given their age. 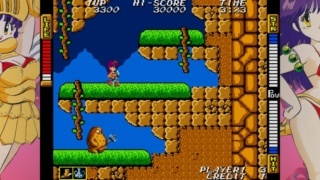 The soundtracks of many of the games range from good to great, but a few of the older titles do have rather limited chiptunes and can be somewhat grating, but overall it's a non-issue. 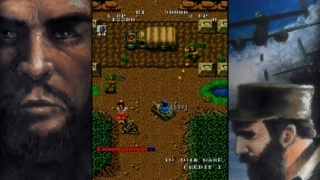 Bottom-Line: With a great selection of arcade game classics with tons of bonus content in the museum, excellent controls, and near-perfect emulation including the audio-visual side of things, SNK 40th Anniversary Collection for the PS4 is a good title that is well worth purchasing if you're a fan of arcade gameplay and grew up with older games. On the downside these games are bite-sized compared to modern games and are mostly good for short-bursts of challenging fun. Overall we give the game a good level of recommendation! Our review is now live! As always feel free to leave us your thoughts and comments below! Anyone up for a round of Steel Snail? I mean Iron Escargot? I mean...never mind. Thanks for the comments you guys! @GeekyGamerZack ROFLMAO!